The B.B. 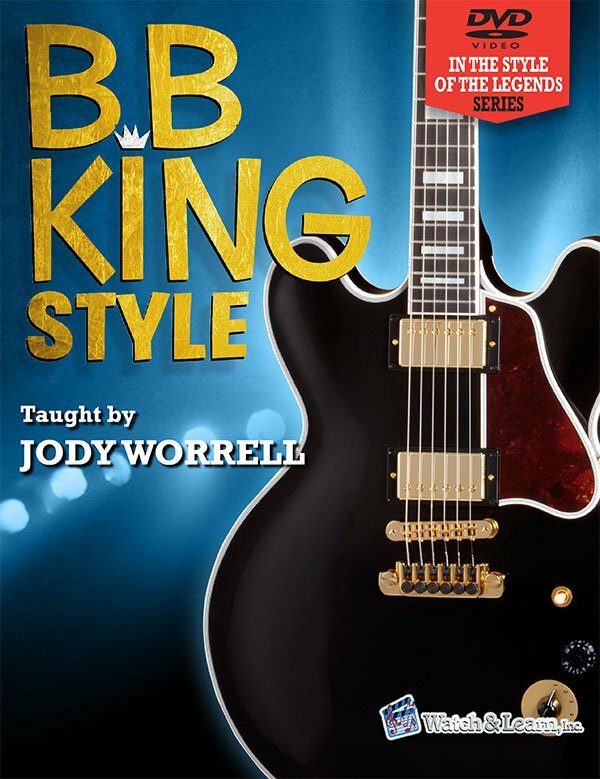 King Style Solos Package by Jody Worrell features six video guitar lessons. You will learn the timing, note selection, bends, vibrato, and famous “box position” that all combine to create King’s unique phrasing. In each lesson, Jody will teach you how to play the solo with note by note instruction and then demonstrate it along with a backing track. The included lessons are B.B. King Style Solos 1 & 2, B.B. King Style Minor Solos 1 & 2, and B.B. King Style Major Key Solos 1 & 2. This course features two hours of video instruction, tabs, and jam tracks.